This building, like many of his Chicago high-rise structures, causes controversy in the pure minimalist community due to its mullions. 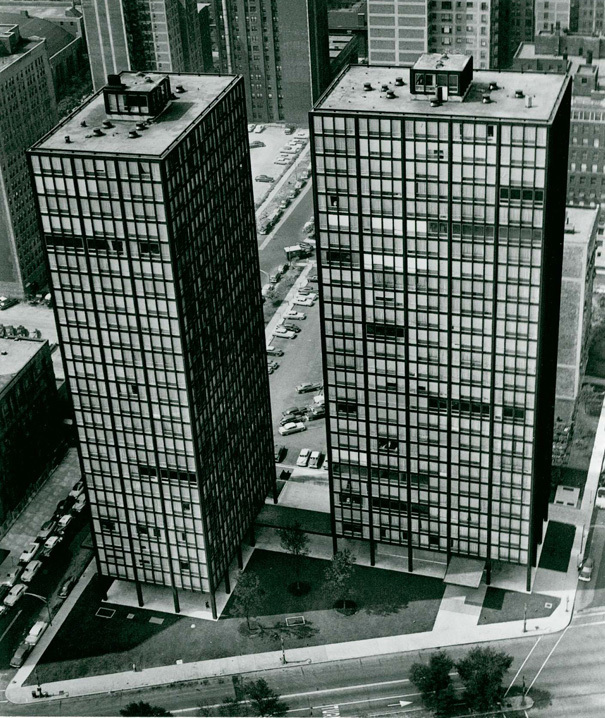 Mies is hailed as the father of “less is more”; however, 860–880 Lake Shore Drive is covered in non-functional I-beam mullions. Mies explains how the mullions do not violate his less is more philosophy in a 1960 interview: “To me structure is something like logic. It is the best way to do things and express them”. The mullions on his buildings reflect the inner structure and therefore give truth to the aesthetic of the building. The idea of truth in architecture aligns with the aesthetic and principles of the international style as taught at the Bauhaus.